Tuesday September 25 2018. 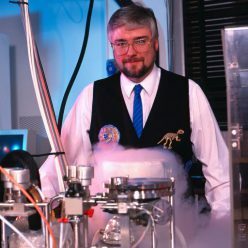 I am delighted to say that I am now making the short synopsis of my biography of Professor Sir Nick Shackleton FRS (of Greenhouse Effect fame) available on-line for publishers to peruse and pursue if they so wish. If you wish to receive a copy of the long synopsis please email me at richcdok@gmail.com. It has taken me many years to write it, in amongst all the other things I have to do to make a crust! As you may know I was Nick’s first graduate student to specialise in his field. 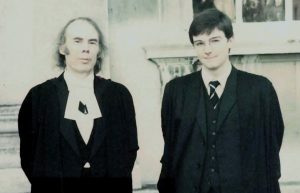 Here’s a picture of Nick and I on the day he was awarded his Doctorate of Science (Sc.D) at Cambridge in 1985. All enquiries to me in the first instance at richcdok@gmail.com.